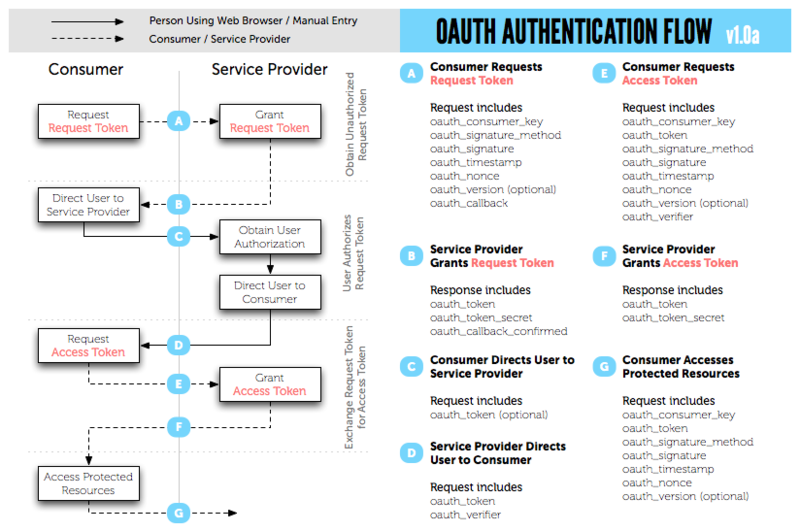 Here’s two diagrams i found describing the OAuth Workflow. The first is from dev.twitter due to @idangazit. 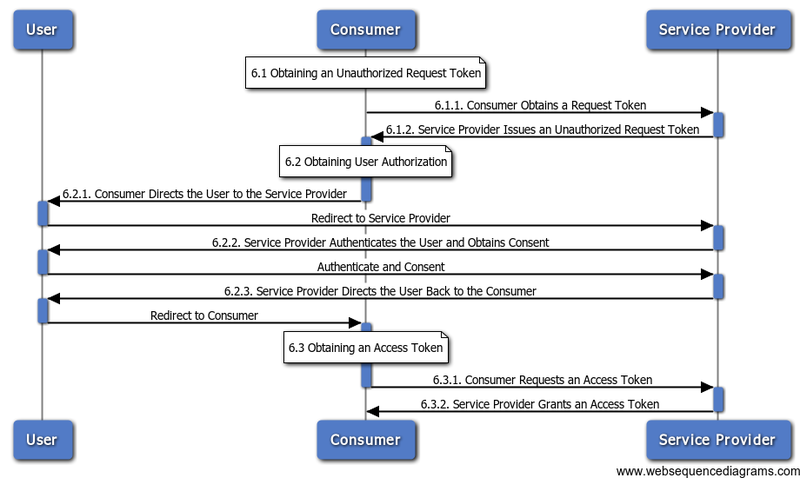 I found the second on a Japanese website, I believe it is sourced at a VERY COOL website that lets you create UML Sequence Diagrams online, WebSequenceDiagrams.com. Here is the First from dev.twitter due to @idangazit.